Get ready to experience a whole new way of washing with Electrolux. 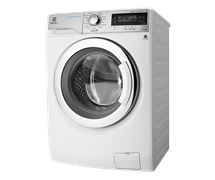 Designed to fit perfectly into your laundry and lifestyle, wash all kinds of garments thanks to a washing machine that loves and cares for your clothes as much as you do. From everyday items, through to delicate designer pieces, your clothes will retain their softness, shape and colour with new UltraMix™ technology. Keep your favourites looking newer for longer with Electrolux washers. The innovative Vapour Refresh program is a quick cycle designed to refresh delicates without using detergent and the Woolmark certified cycle will safely launder precious woollens. Love Clothes As Much As We Do? Discover how you can ensure your favourites look newer for longer. We’re excited to introduce our very own show stopper – Electrolux Fashion Care. Feel fabulous and dare to be bold as your favourites and delicates are cared for with Electrolux. Thanks to our unique UltraMix™ technology, water is pre-mixed with the detergent and activated even in cold water, ensuring a deep yet gentle clean. Discover the Electrolux Life. 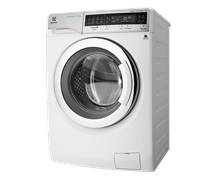 For the optimal care of your clothes, Electrolux offers the ultimate in performance, efficiency and convenience with UltraMix™ Front Load Washer. The powerful yet gentle cleaning system keeps your clothes looking fresher for longer while the Vapour Refresh program quickly revitalises your outfit without washing. 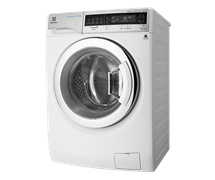 With even more features to suit all your laundry needs, you can be confident your clothes are given the highest-quality care. Check with just one quick glance that nothing is left in the drum. Thanks to its interior LED illumination, a single glance inside the drum is all it takes to be certain that you've left nothing behind. It’s the little things in life that can make all the difference. Enjoy a more thorough and efficient wash with our advanced JetMix™ System. At the beginning of each cycle, the detergent is dynamically blended and fully dissolved in water within a specially designed pre-mix chamber. This creates a powerful cleaning solution saving you time and energy in the laundry.